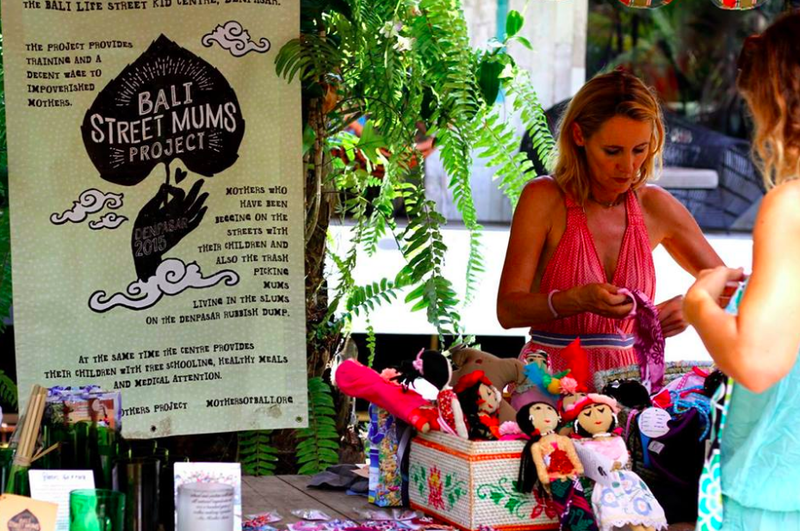 Hi friends!This month we want to share the story of The Bali Street Mums Project, a non-profit organizationestablished in 2015, headed by the inspiring Kim Farr, to empower impoverished mothers by taking them and their children off the streets in Denpasar. It all began when Kim was volunteering in a street kid refuge where mothers and their children would come each day. The kids had a small classroom indoors and the mums were in an outdoor verandah where they were given items to make. During this time, the mums were given almost nothing for their work and had no choice but to bring their kids back to the streets at night to beg for money. Something different needed to happen for the mothers and their children if they were to be taken off the streets and into a life where their basic needs were met. Bali being an island based off tourism, Kim thought that if these women could be educated and taught to make things that tourists would buy, then this would relieve them from the streets and poor living conditions. Kim began teaching the mums how to make jewelry, hand sewn dolls and glass cups cut from recycled bottles. Over the last three years Samadi has offered a space at the Sunday Market where Kim and the street mums have been selling beautifully embroidered bracelets, necklaces, and Frida Kahlo Dolls. Kim ensured that every mother was paid well whether or not she would receive anything in return. There are now 15 mothers and 50 children who now have enough income without going back to the streets to beg. The mothers and their children have moved out of their paper-lined four square meter mosquito infested huts and into housing that is clean and safe. The mothers pride themselves on their work and the kids are attending school receiving a proper education. The struggle to keep them off the street is a daily challenge for Kim and her team. The mums and kids still face medical emergencies, rising school fees and nutritional needs and this is where you can help! The Bali Street Mums Project is looking for volunteers and donors to help keep up with the rising costs of their basic needs to keep them off the streets. Find Kim, the mums and their children selling their items at the the Sunday Farmers and Artisans Market every Sunday from 9.00 – 14.00. For more information and happenings each month / To be a donor or volunteer, please contact Kim from Facebook at Ibu-Ibu or balistreetmums@gmail.com or visit Samadi Bali for more on our Sunday Market. The schedule is getting fuller every month! There are two new classes added to the schedule, Vinyasa Flow, on Saturdays 16.00 – 17.15 and Vinyasa Flow on Sundays 16.00 – 17.15. Also, since May Restorative class on Friday evenings 17.30 – 18.45 and Saturday morning Ashtanga 7.30 – 8.45. Don’t miss Ecstatic Dance now also on Sunday afternoons. Ecstatic Dance on Thursday nights have been pulling in the crowds so we thought it would be fun to add Ecstatic Dance on Sundays, 12.00 -13.30, during our Sunday Organic Market at Samadistarting the first Sunday in June! Join Dancing Songbird as she guides you through a healing journey of free-form barefoot dancing and unique soundscapes weaving old school and new school music inspired by artists from around the world. Allow your body to move with freedom and presence, an authentic moving meditation with no observers, judgements or worries to align yourself in correct posture. Awaken your true dancer within to release old patterns of emotions stuck in our bodies to experience union with the divine. No previous experience of any kind is required! Everybody is welcome. 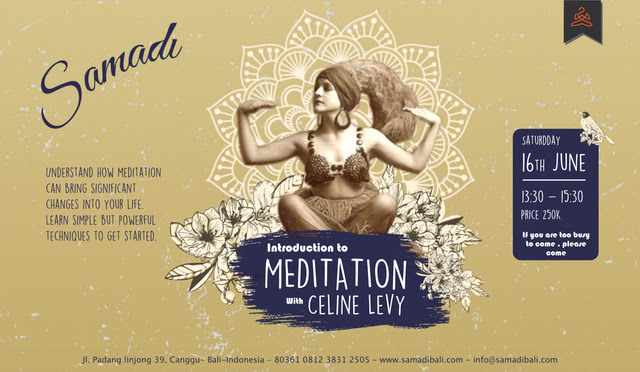 Price: 130.000 Rp, or you can use your regular Yoga pass for Samadi. 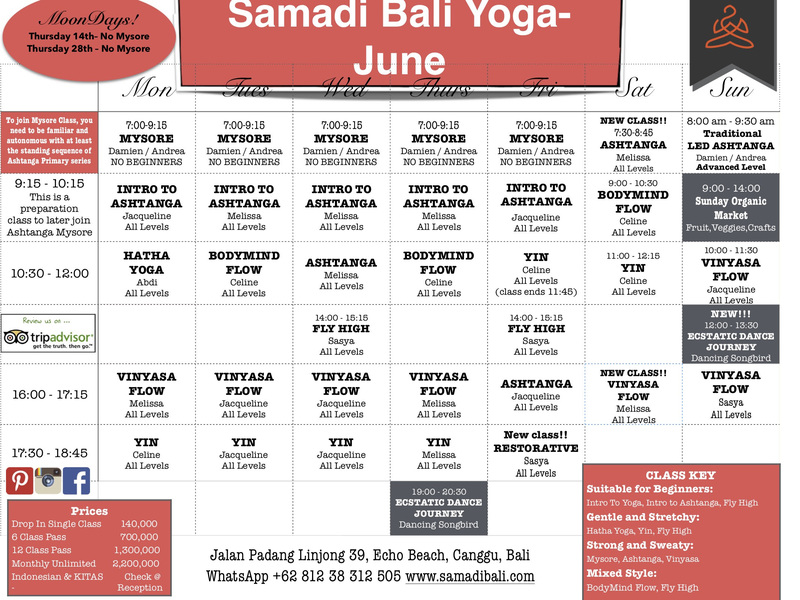 Give your holiday a purpose and join us for an unforgettable 7 day Yoga and Surf retreat inSamadi Bali near renowned surf spot Echo Beach, Canggu. Enjoy a peaceful lifestyle with daily yoga classes, surfing, therapeutic & healing treatments, delicious organic vegetarian food – and most all, meet and connect with beautiful people with plenty of time to relax! 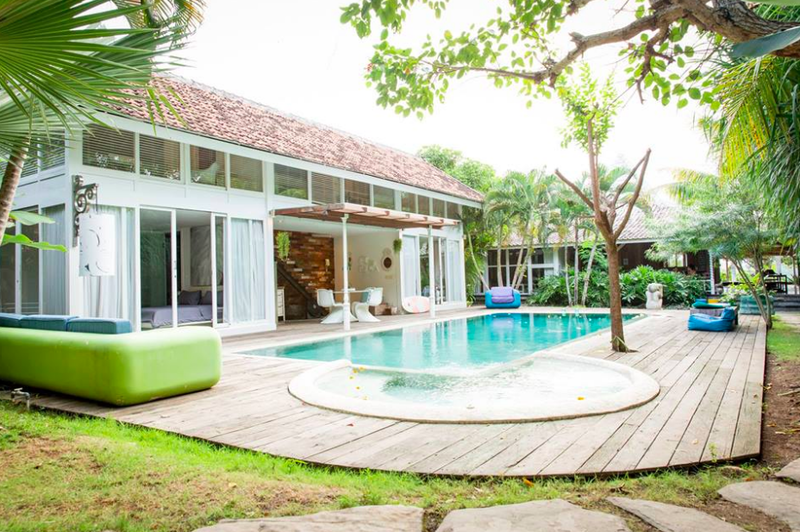 · 6 nights / 7 days in one of our beautiful designer bedrooms with rice field or pool view including air-conditioning, swimming pool, WIFI, and private bathroom and daily housekeeping. · A wide variety of healthy organic vegetarian meals for breakfast, lunch, dinner and snacks during your stay. · Minutes’ drive from world class surfing beaches Batu Balong and Echo beach. 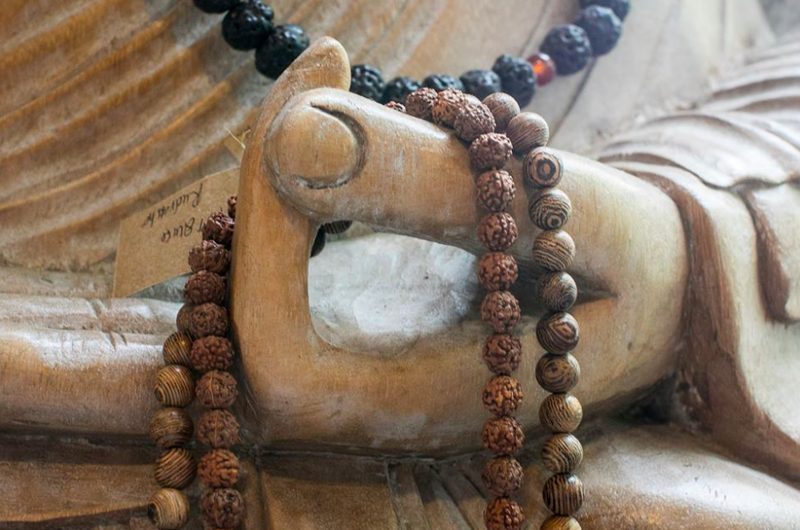 Understand how meditation can bring significant changes into your life. Learn simple but powerful techniques to get started. Join this workshop to understand what meditation does to your mind from a Yogic and Buddhist perspective. Learn how energy circulates in the different postures to discover concentration and meditation practices which suite you and your needs. Follow your body into an Ecstatic Flow of movement, breath & stillness. 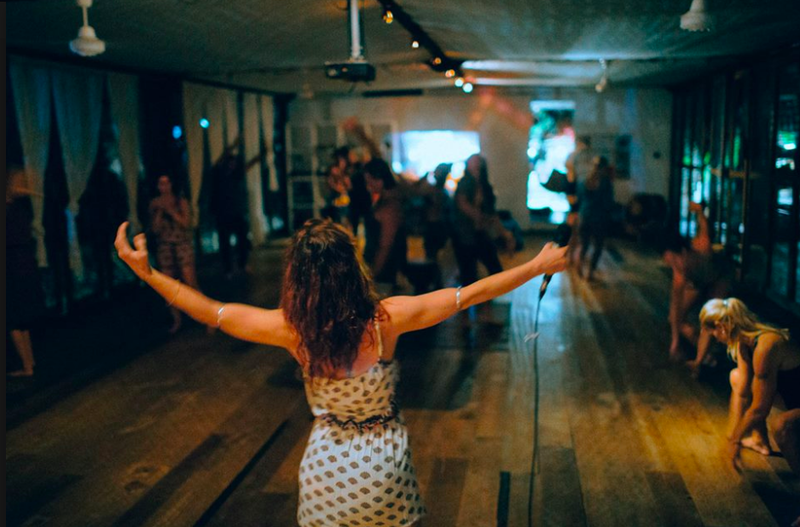 Join us for an Ecstatic Flow Yoga Workshop, rooted in tradition yet opening to new ways of being in our bodies, hearts and minds. In this 2,5 hour session we will move between discipline, freedom, movement & stillness as we weave and integrate the masculine & feminine energies within us through Yoga asana, Pranayama, Freestyle movement, Meditation, Relaxation and Chanting. 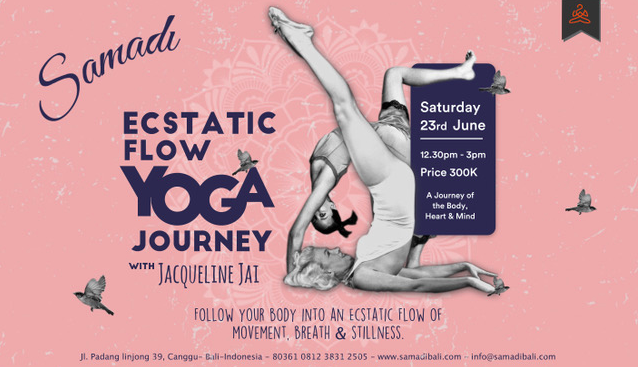 This Ecstatic Flow Yoga Journey will be supported by deep Yoga beats and end with us releasing our voices in sacred chanting. 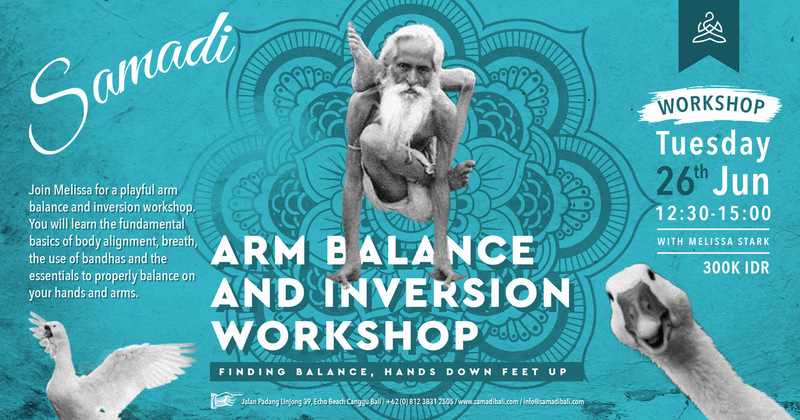 Have you always wanted to learn how to balance on your arms? During this workshop you will learn the fundamental basics of handstands, Pincha Mayurasana, and other more challenging arm balancing postures. Learn techniques to use at home to start building up your core and balance. We will also take a look at how to smooth out your transitions in your self-practice also referred to as floating. Turn your life upside down for a fun and challenging workshop! Suitable for students who practice yoga regularly. Join us this Full Moon for a heart opening evening of devotion honoring the sacred transformations of reawakening. Kirtan is a form of devotional chanting whose roots go back to India over 500 years. It is a form of Bhakti Yoga (yoga of devotion) and has the power to open the heart. The singing is accompanied by musical instruments and rhythmic drumming while the audience is encouraged to participate by chanting, clapping and dancing. Explore kirtan and bhajans, connecting with the qualities of Indian deities. The ancient tradition of Kirtan raises consciousness through group chanting. 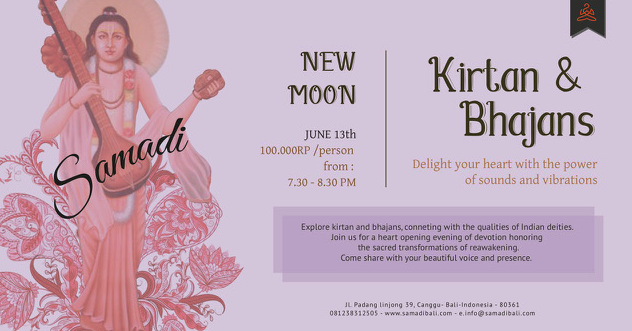 The Bhakti Mamas will sing English and Sanskrit music using call and response and solo vocals. The beautiful vocal harmonies will be combined with music from a guitar and harmonium. Kirtan uses the human voice and repetition to calm the mind and lift the spirit.